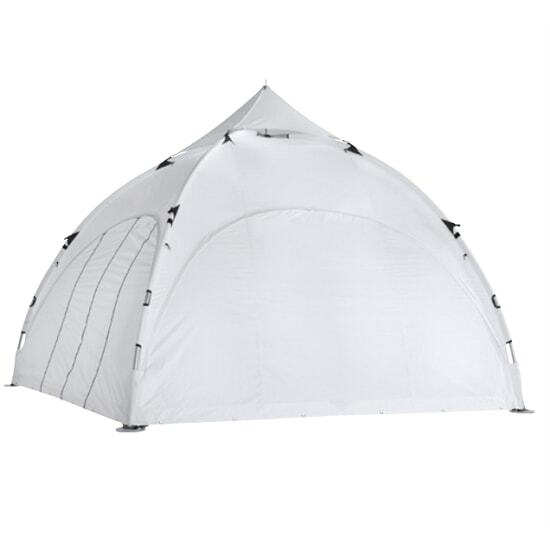 Our Dome Canopy Tents are available in 3 different sizes, ranging from a 10′ x 10′ tent to a 30′ x 30′ tents. 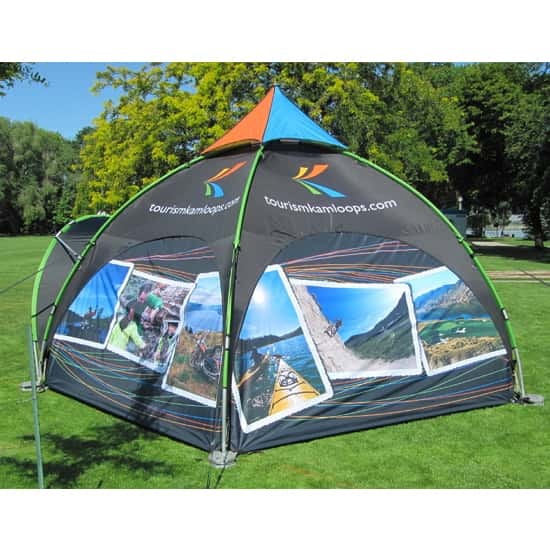 Their distinctive design will heighten your prominence and ensure a spectacular presentation of your message with every use. 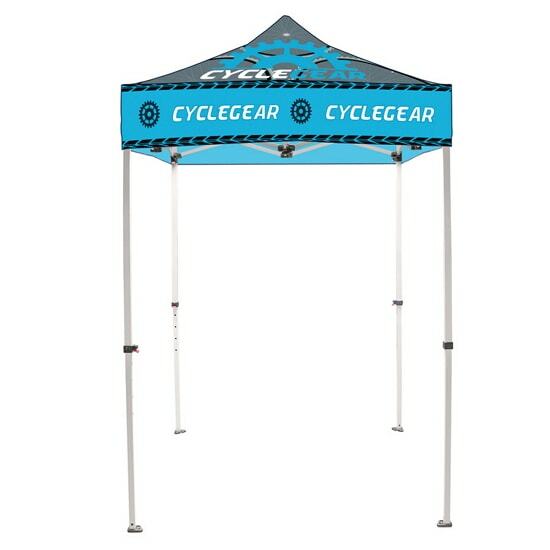 The tents feature lightweight, high quality aluminum frames and 100% polyester canvasses with custom print to create a lasting impression. 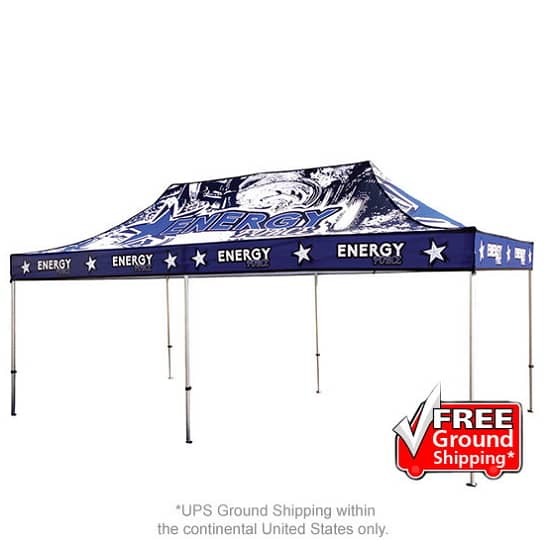 Customize your shelter to fit your needs with a variety of compatible canopy accessories, including custom side walls, visors and flags. 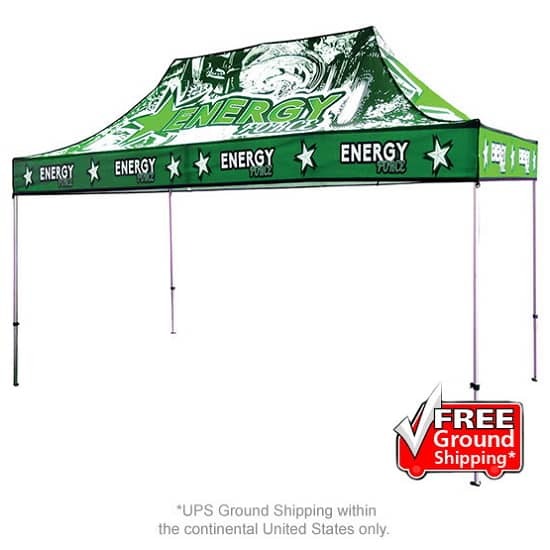 Create a dramatic presence by connecting a cluster of canopies to cover even larger spaces. 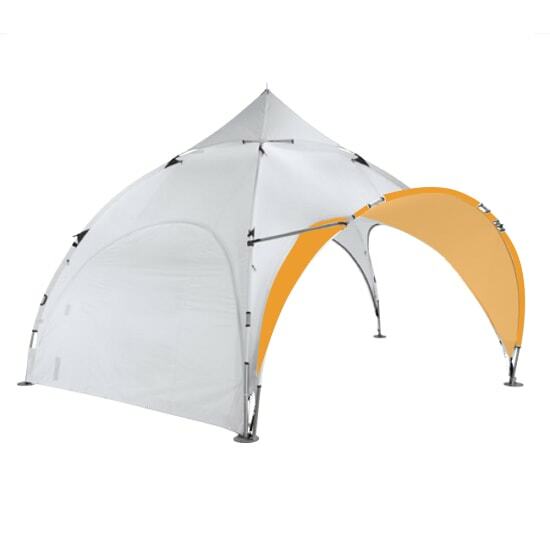 This uniquely designed tent ensures you will stand out in a crowd. 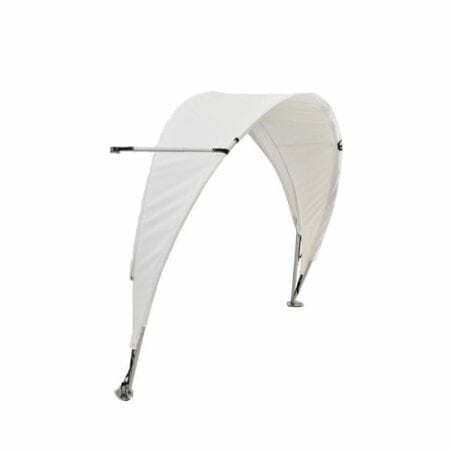 The 1.5″ aluminum tube frame is lightweight and portable. 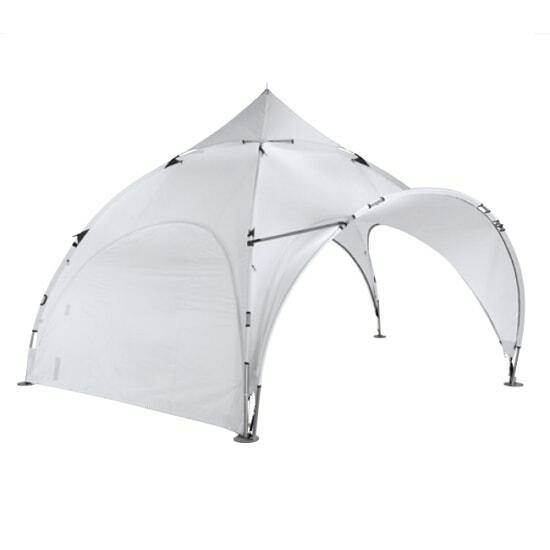 The canopy is flame retardant, weather-resistant and includes vented peaks to remain stable during periods of windy conditions. 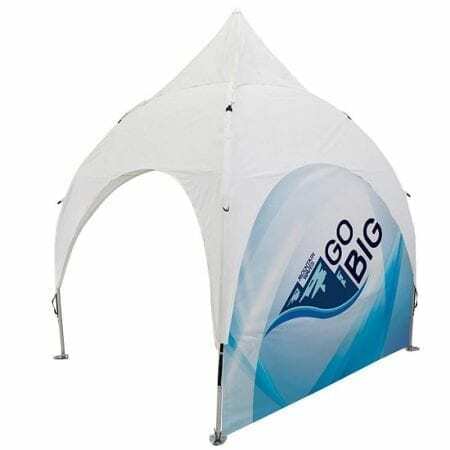 The Dome Canopy Tent is available only in WHITE or Full Dye Sublimation. Thermal printing is a digital print process in which the graphic is printed onto thermal transfer media and adhered to the surface of our stock fabric colors through pressure and heat. Graphics can range in complexity from a simple, solid 1-color design to a more detailed, full-color design. • Vector art is required. 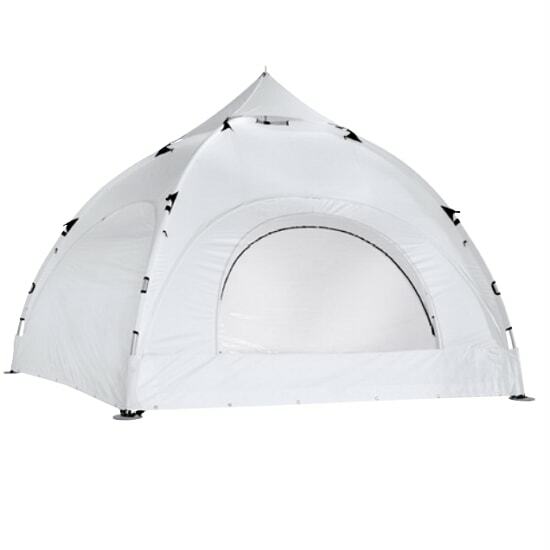 • Available in white fabric only. Slight changes in fabric color may occur from order to order due to fabric dye lot variations. This must be considered acceptable. 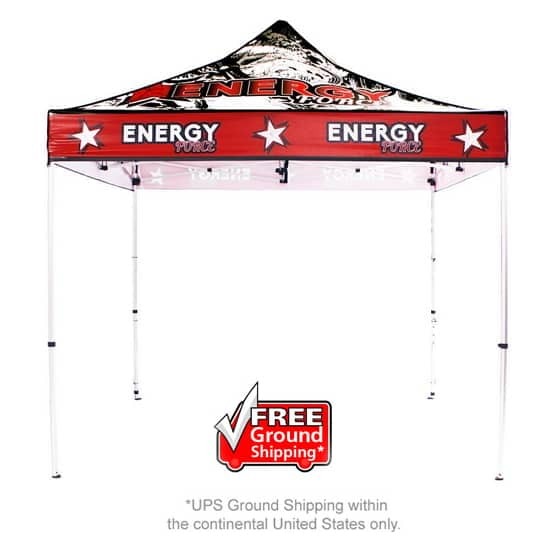 Dye Sublimation is a printing process that uses heat to transfer ink into white fabric; this allows full-color graphics to permeate the fabric and become part of the fibers. 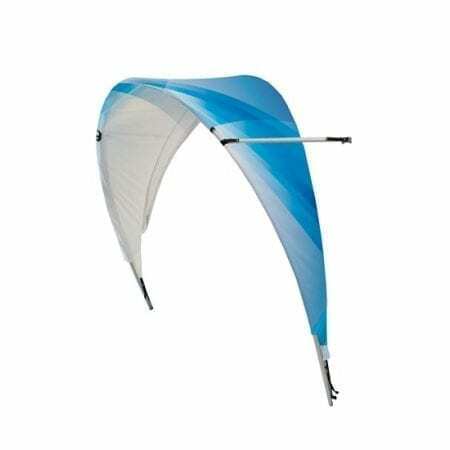 Ideal for complex designs, photographic images or art with gradients. • Vector and raster artwork accepted. • Art is dye sublimated (4-color CMYK process) on WHITE fabric only. 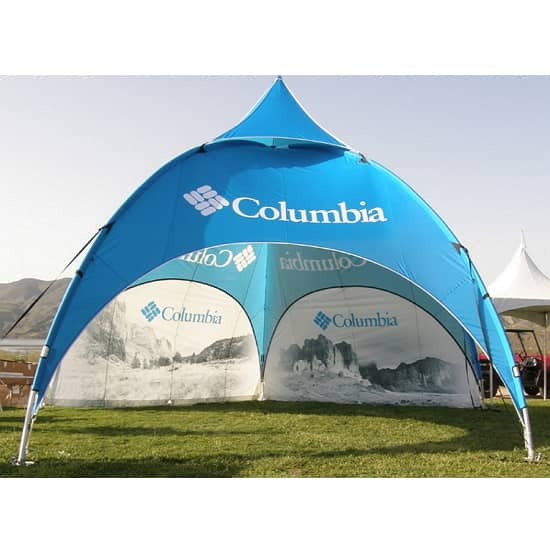 Create a dramatic presence with a cluster of Dome Canopy Tents interconnected together. 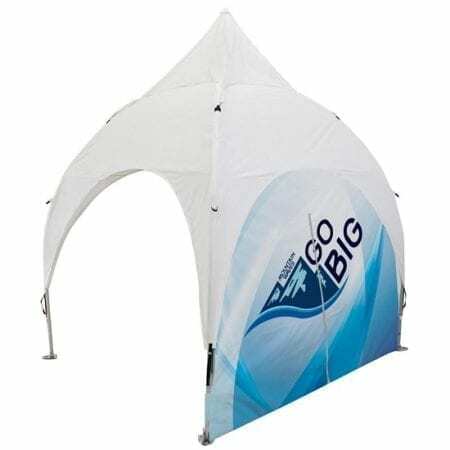 Its unique design ensures a spectacular presentation of your corporate message every time. 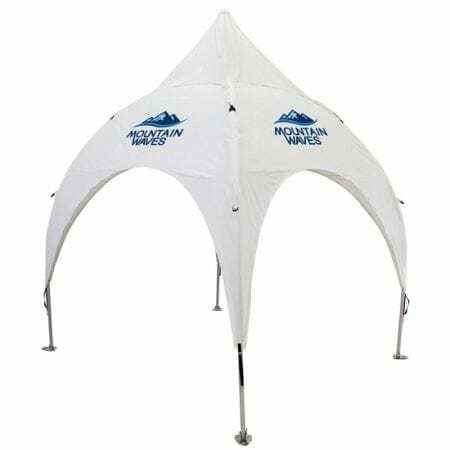 The Dome Canopy Tents can be custom printed with your corporate colors and logos to create a lasting impression. 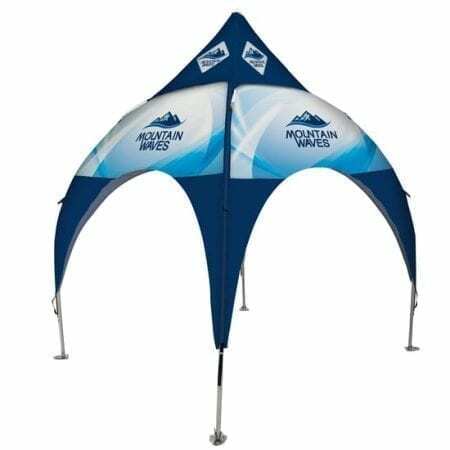 Customize your shelter to fit your needs; add custom side walls, visors and flags to your Dome Canopy Tent.